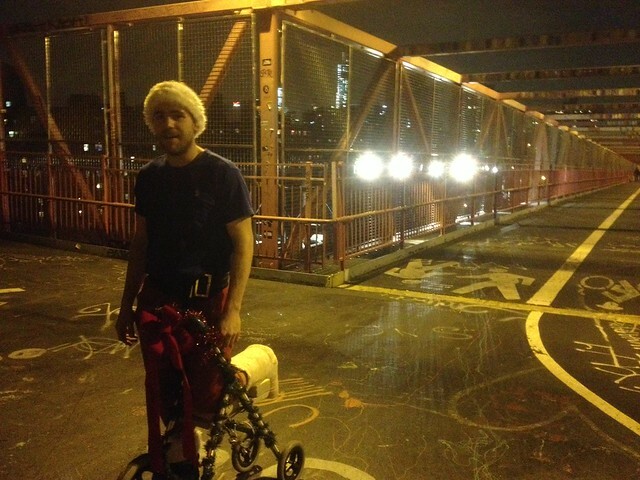 This is Alex Garzerro on his rolly-scooter, decked out for Santacon and barreling home to Brooklyn over the Williamsburg bridge. He shattered his ankle a few years back and checked in for some reconstructive surgery on the pins a week ago. 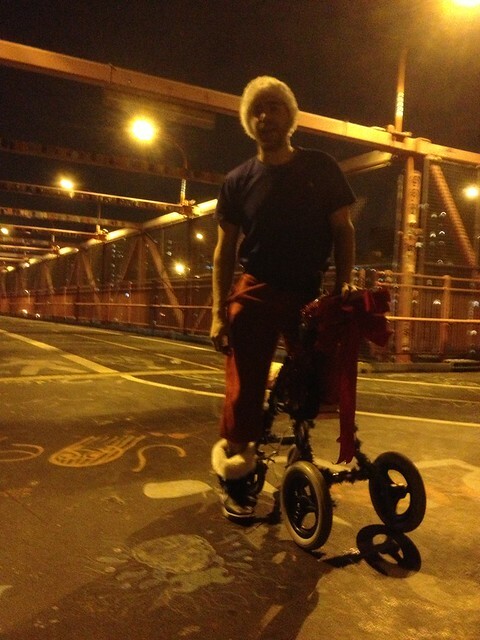 Not to be deterred, he strapped his leg to his rolly scooter and headed out to Santacon, where he reports being a hit. More impressive was his trek home. "I feel pretty awesome right now," he said, "it doesn't really hurt at all." At this point he's been pushing since Union Square. "I didn't want to hail a taxi or take the G train. Hopping down the stairs seemed like a drag. Also I haven't ridden my bike for a week... This is my favorite bridge, I kinda wanted to get back rolling." Alex then took off up the pedestrian path at a good clip.